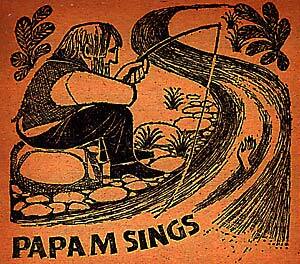 6 track CD EP on Papa M's new label, Sea Note. "This is a weird release. We really don't want to push this record on you as 'the next new Papa M record' because it doesn't really represent the way things will sound on the next new Papa M record. That's part of the reason this Papa M release has been 'officially bootlegged' on Sea Note, to'emphasize its different-ness. As well as its defiant hilarious-ness! As well as its straight-forward deviance, of course."